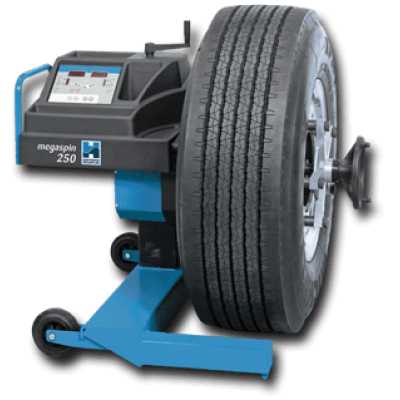 The megaspin 250 portable wheel balancer for trucks, with built in wheel lifter and the ability to cover all car, LCV and HGV wheels either in a workshop environment or on a mobile van. Supplied with a complete set of universal cones, a full range of stud adaptors are also available. 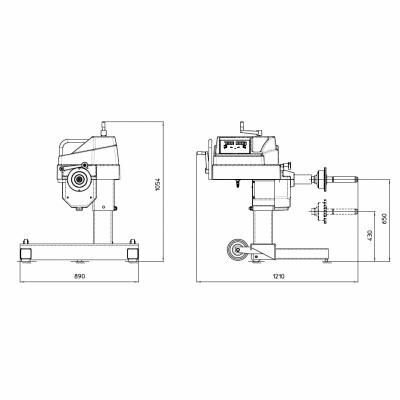 £3,895.00 + vat, Cash Price fitted. £18.87 + vat, per week when using Lease / Buy.